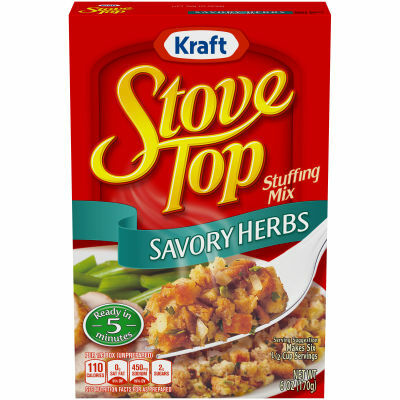 Stove Top Stuffing is one of the most versatile ingredients in your pantry. You can serve it as the perfect stuffing side at any meal, but don't forget that recipes for main dishes can be built around it. Serving size 1/6 box (28g). Makes 1/2 cup.